I was having visions of rack after rack of chocolate chip cookies marching out of the oven, like the multiplying brooms and buckets in Walt Disney's animated film "The Sorcerer's Apprentice." Why? 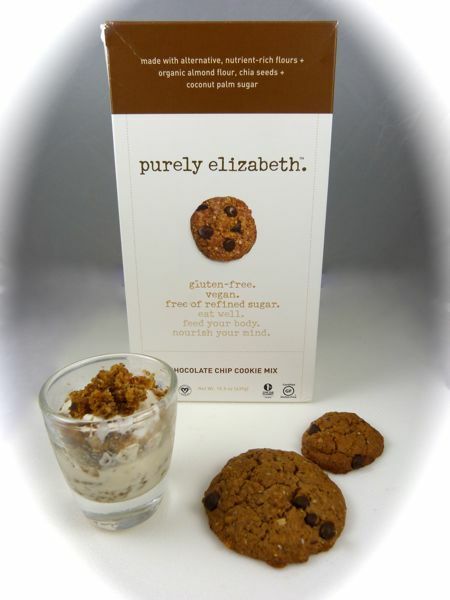 This box of Purely Elizabeth Chocolate Chip Cookie Mix (Appetite for Healthy Living LLC - New York, NY) made far more cookies than anticipated -- 41 to be precise. I didn't mind having extra warm cookies perfuming my kitchen. But, it did take three sequential batches to cook them, and I needed to clear extra counter space to cool three large plates worth of them. 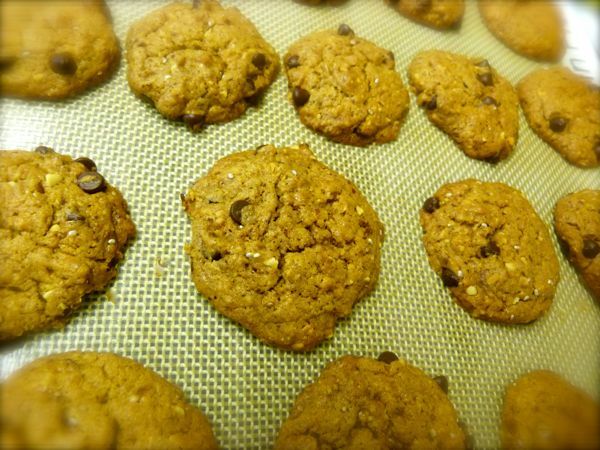 The base for these gluten-free and vegan cookie mix consisted of organic millet, organic almond and garbanzo fava bean flours, as well as chia seeds. Directions for this mix called for 1/2 cup oil and 1/4 cup of applesauce, which helped establish a cohesive, chewy texture. The golden brown cookies were dotted with small chocolate chips that seemed the right size for smaller cookies that I made. The cookies were sweetened with a relatively heavy dose of organic coconut palm sugar. While I like the flavor of this sugar -- often touted for its less refined, higher nutritional and lower glycemic properties -- I might use a bit less of this sweetener. 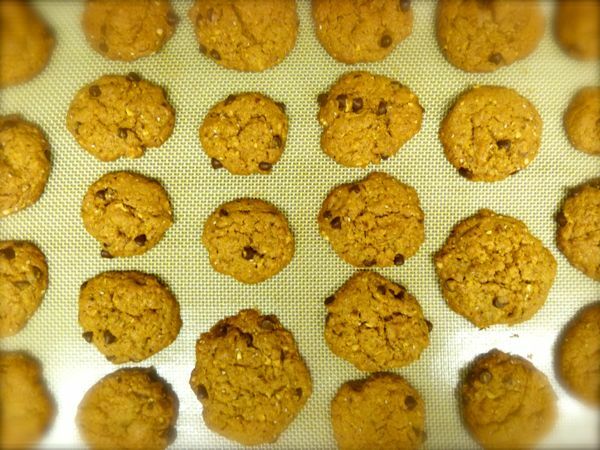 Because there was no raw egg in these cookies, the batter could be eaten (safely) uncooked, or could be enjoyed with other dessert items, e.g., ice cream. I tried this later -- layering cookie dough and crumbs with vanilla ice cream, to make a small shotglass dessert parfait. It reminded me of an oatmeal cookie ice cream sandwich. And because I can't have wheat or oats, I appreciated this close facsimile.